A good match for the role of Maine newspaperman Jack McMorrow. 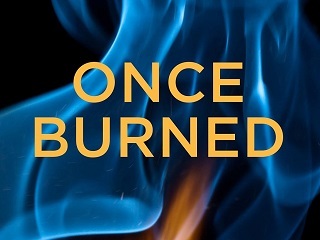 Newspaperman-turned-author Gerry Boyle is wrapping up promotional activities for Once Burned, the 10th book in his series featuring a print reporter protagonist by the name of Jack McMorrow. In both cases, these guys do their writing off the beaten Maine path. I had to ask Boyle whom he would envision an actor to play McMorrow. Patrick Dempsey came immediately to mind (great choice!) Boyle’s favorite authors include John D. McDonald of the Travis McGee series along with Robert B. Parker. Both authors had feature films of their characters. I wouldn’t be surprised if some Hollywood agent picked up an option for Boyle’s books and characters. Bollen might be right. While Truth bombed at the box office, Spotlight seems poised for a very successful critical and audience run beginning Nov. 6. Perhaps someone will soon be putting in an offer to Boyle’s agent for some film rights. And next, a call to representatives of a certain Lewiston, Maine native.